Hotel to train station transfer in Beijing & Train station to hotel transfer in Shanghai. Let’s visit the most popular Shanghai attractions. Yuyuan Garden, located in the center of Shanghai old quarters, was a beautiful private garden built in 1559 during the Ming dynasty. Jade Buddha Temple is famous for the two jade statues of Buddha imported from Burma. Oriental Pearl TV Tower is one of the tallest TV towers in the world, known for its distinctive shape. Shanghai Urban Planning Exhibition Hall is a fascinating insight into Shanghai’s future with great displays. 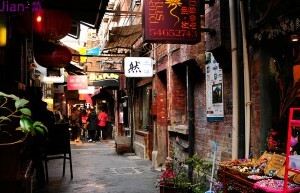 Today we will first have a short visit to experience the real life of the common Shanghainese. Then come to Tianzi Fang in former French concession, which turns into a trendy area with a mix of well-preserved Shikumen architecture and art galleries, bars, craft shops and art studios. After the tour, be transferred to Shanghai South Train Station to catch the train back to Beijing. Beijing train station to hotel transfer upon arrival. *Entry or exit China airfare. *If you need to prolong your stay in China, or arrive a few days earlier, please let us know and we’d be happy to extend your hotel bookings, or arrange additional tours for you.